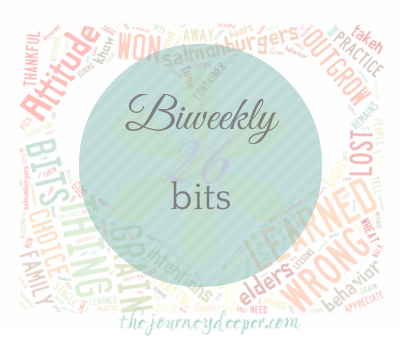 After writing 26 bits, I realized that there is so much I could elaborate on with each of my bits. So I decided to turn them into a biweekly (i.e. fortnightly) series, for the next year. Don't be afraid to be different! It is our differences that make us distinct, that make us unique. So don't be fearful of doing things a little differently from the rest of the crowd. This has always been a tough thing to do. As much as our society is individualistic, it only seems to value "standing out" in certain ways. And if you're one to think outside the box, be ready for a LOT of opposition. But the truth is, throughout the Bible, everyone that God has called has gone outside of the status quo, and their faith in God to hold everything together when it all seemed to be falling apart is what made each of them able to step out and dare to go against the grain. 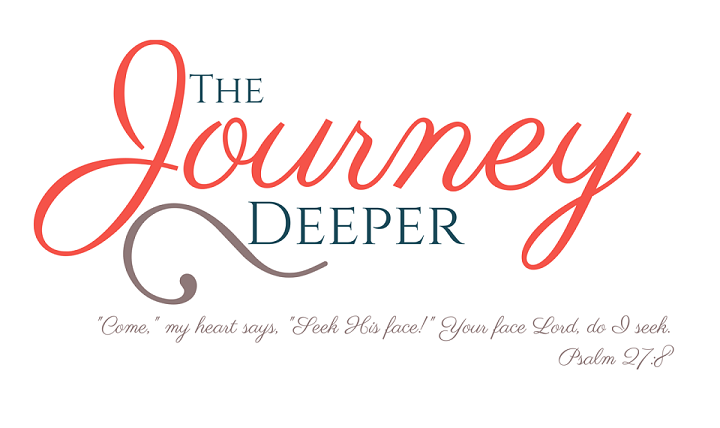 We see this with Abraham, leaving everything familiar and going out into the desert, with Moses going to Pharaoh on behalf of the people of Israel, with young David and his slingshot in the face of Goliath, with Shadrach, Meshach and Abednego, with Daniel, with Hosea, with the disciples, with Paul, and most importantly, with Jesus. So often we are afraid to be different. To be the one who speaks up and says, "actually, I don't agree", or "the Lord is leading me differently" or "my goal is a bit different from what you think it should be." We forget or ignore that we are each created uniquely, set apart to do good works for Christ (2 Tim 2:21). It is our differences as members of the Body of Christ that unify that, that make things work. And when we try to fit in, we cast off what God has called us to do, almost as if we're telling God that He should have given our purpose to someone else. When Jesus called the first sets of disciples, the basic expectation was that they would do things differently from the standard worldview. In fact, a great part of Jesus' ministry here on earth was challenging the status quo, making people think differently about how they related to and approached God. 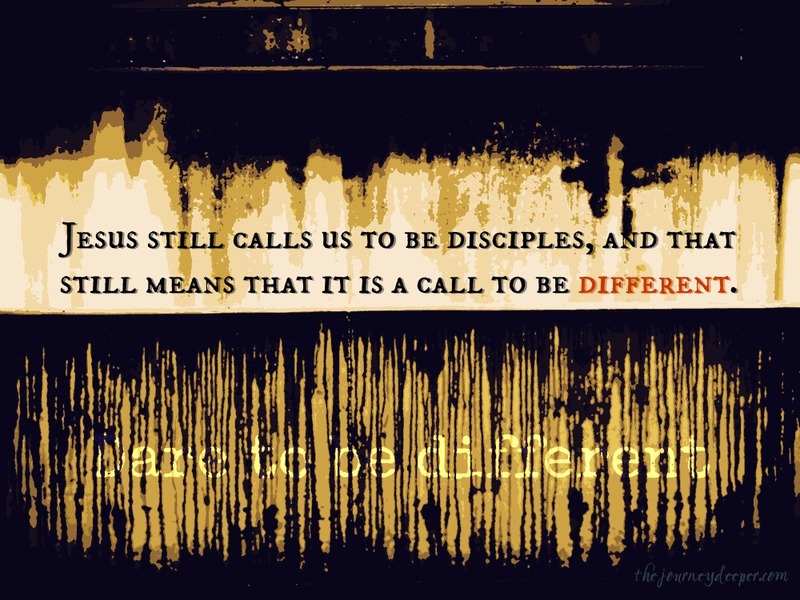 Jesus still calls us to be disciples, and that still means that it is a call to be different. So what to do? Listen when God whispers to you to swim against the tide. Walk boldly when no one wants to walk with you. Dare to be different, to be the unique person that God has created you to be. Live a life worthy of your calling (Eph 4:1), guided by the Holy Spirit. Be blessed and shine daringly and differently!